This year some friends hosted a vegan/vegetarian Thanksgiving dinner. It was a lovely gathering with a table full of vegan-friendly dishes, and the first time in years I didn’t make the whole Thanksgiving meal myself. Ahhhh. Among the dishes I contributed were a cashew-based “cheese” ball, pecan pie, and sweet potato dish made with pineapple and coconut milk. 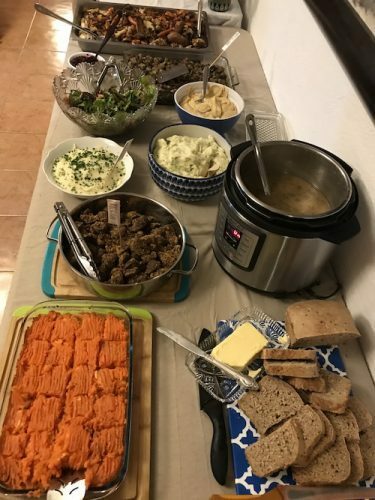 The feast included roasted vegetables served over polenta, salad, hummus, mashed potatoes, the world’s best seitan, and homemade bread. I was asked to bring gravy. 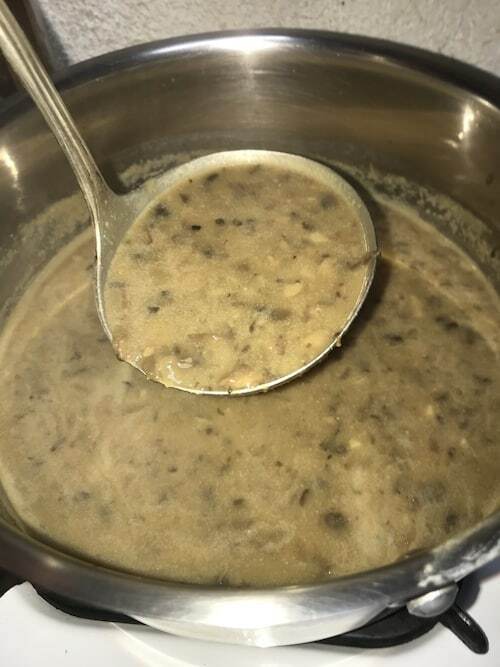 I have several nice vegan gravy recipes and decided on a mushroom version. Since it would be a large crowd and I would be bringing it in my Instant Pot, I knew I wanted to make it in the Instant Pot. 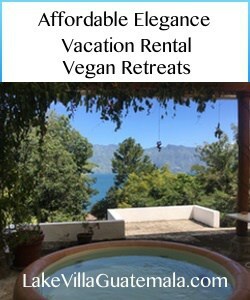 As fate would have it, this recipe from Vegan Richa showed up in my Facebook feed. I was on the right track. Of course, I had to change things up a bit. The result was delicious and had several people going back for seconds… including me! It was also great reheated the next day. If you don’t have an Instant Pot…get one! But you can also make this on the stovetop. This recipe serves 8. When I tripled it, I found I only needed to double the broth added at the end. Heat the Instant Pot Using the Sauté setting. When hot, add the onion and stir to cook for about two minutes. Add the white wine (or broth) and garlic. Continue stirring and cooking for another two minutes, then press the Off button. Add the mushrooms, soy sauce, nutritional yeast, mustard, onion powder, garlic powder, sage, tarragon, and one cup of the broth to the Instant Pot. Stir to combine. The mixture will look dry, but the mushrooms will release a lot of liquid as the cook. Replace the lid on the Instant Pot. Using the Manual setting, cook under pressure for 20 minutes, then allow the pressure to fall naturally. Stir the cornstarch into the remaining 1 1/2 cups of broth. Remove the Instant Pot lid and press the Sauté button. Add the white pepper and cornstarch/broth mixture. Stir as the gravy comes to a boil and begins to thicken. Mix in the cashew cream if using. If you want the gravy thicker, sprinkle a bit of flour and continue stirring or add a bit more cornstarch dissolved into 1/4 cup cold water.